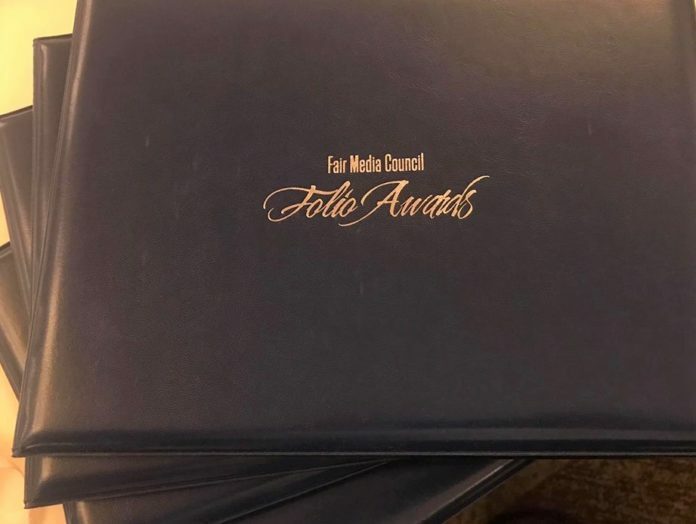 Please order now for a duplicate 2019 Folio Award. Orders will be taken until April 15, 2019. Orders must be paid for in advance. The duplicate awards may take up to six weeks to be received. You may pay by credit card below, or mail a check. Email info@fairmediacouncil.org with “duplicate award order” in the subject line. In the body of the email, provide award category and name of winning story or social media campaign, as well as how many copies you’d like, the mailing address the awards should be sent to, and a phone number in case we need to contact you. If you’d prefer to pay by check instead of credit card, make check payable to Fair Media Council and mail to 223 Wall Street, Suite 200, Huntington, N.Y. 11743. Payment must be received before order will be placed. 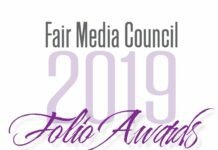 Fair Media Council will do its best to ensure you receive your duplicate award as quickly as possible. Thank you!